Rackmount Panasonic Blu-Ray / DVD player is a new, smart and affordable solution for your portable audio video installation, a home studio, or a video production house. Are you supplying audio video equipment to schools, hotels, night clubs, or small theatres? Are you making video or creating music at home? 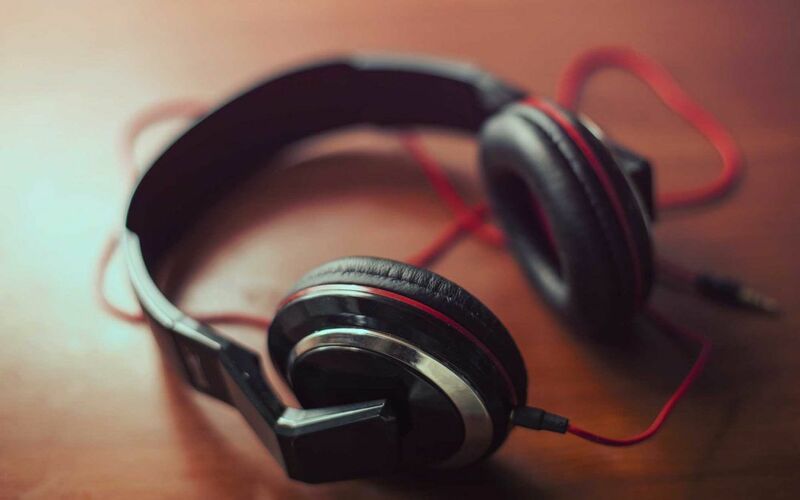 Are you an avid audio video fan? Building your own home theatre? Then you appreciate convenience of rack mounting equipment. Rackmount equipment gives freedom, whether all items are mounted in a basic studio rack, portable rack case, or a premium studio rack. All the equipment is in one cabinet, convenient and neat. No cables are dangling, no dust is gathered. We would like to offer you to have a look at our new and sleek solution made to suit half depth racks – a rackmount Blu-Ray / DVD player. We took a standard Panasonic model DMP-BD83GN and built it in the powder coated metal case with mounting brackets. The result is a great and convenient entertainment device, allowing playing movies and music in variety of formats. It does have a front-loading USB port, so if the customer comes with the memory stick, all you need is to plug it in and play! Truly versatile, this rackmount player, taking only a single rack space, will play almost every disc format plus multiple audio and image file formats from the USB. LAN port gives the flexibility to connect to a network for smart networking. The unit is available for sale via our online shop and our eBay store. 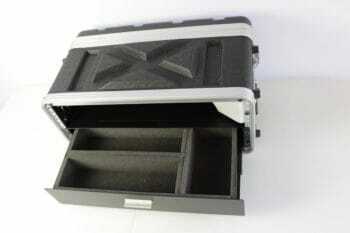 To make it easy for you, we also offer 19” ABS rack cases with drawers and small LCD TV monitors. All you need for a professional and portable package – get a rack case, build in the Blu-Ray player, add, depending on your task, an amplifier, a monitor management system , or a light control unit, or a multi-channel mic preamp. Use the drawer to store your microphones, tools and cables – and you are ready to go! You may want to connect the player via HDMI cable to a small TV monitor to get immediate information on the played track, or maybe even use a rack mount monitor. If you are after a complete professional audio video controller, than check our SmartBox range. We hope you’ll enjoy the convenience of our rackmount solutions!